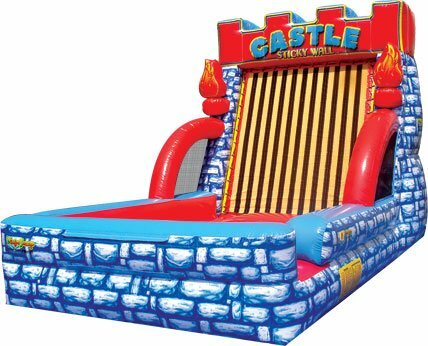 Your guests will step into a sticky suit and then take their turn at storming the castle. Once they reach the end, the over-sized inflatable Velcro wall catches participants in mid-jump. This one-of-a-kind, inflatable attraction features brick artwork, battlement detailing at the top of the unit, along with three-dimensional torches flanking the sides. This amazing 15-foot inflatable attraction is sure to capture the attention of guests young and old!